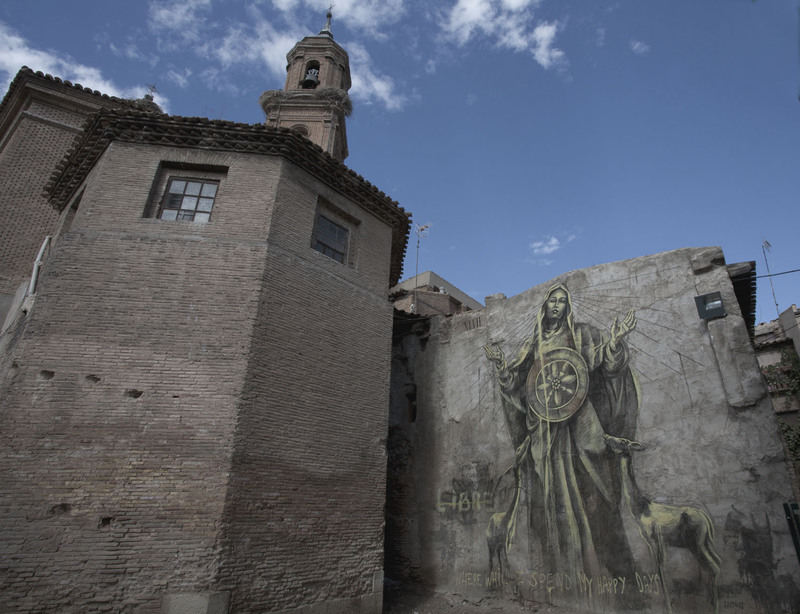 Faith47 recently dropped one of her most iconic murals to date in the quaint town of Tudela De Navarra at the fourth annual Avant Garde Urbano Festival (also see our coverage of Vhils’ piece). 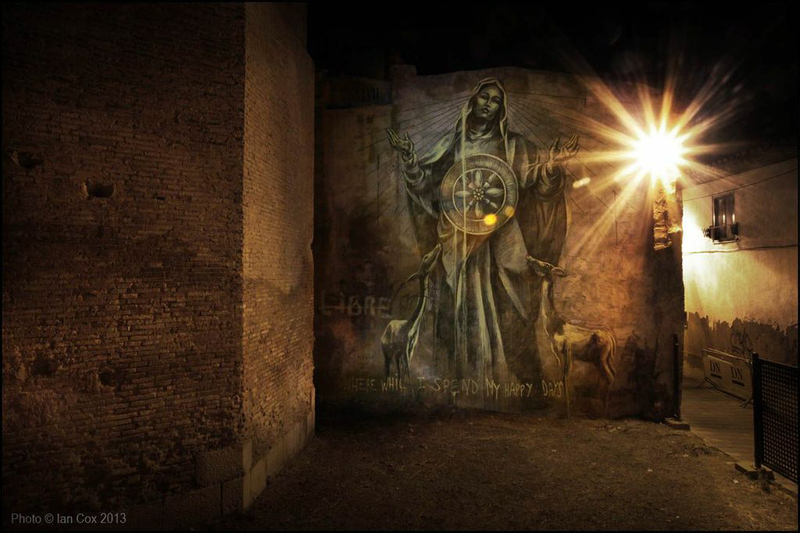 In an area of Spain that is heavily influenced by Catholicism, she appropriately integrated a piece depicting a strong likeness to the Virgin Mary entitled saturation.incubation.illumination. Other mural works coming up include efforts from Ron English and Dal East. 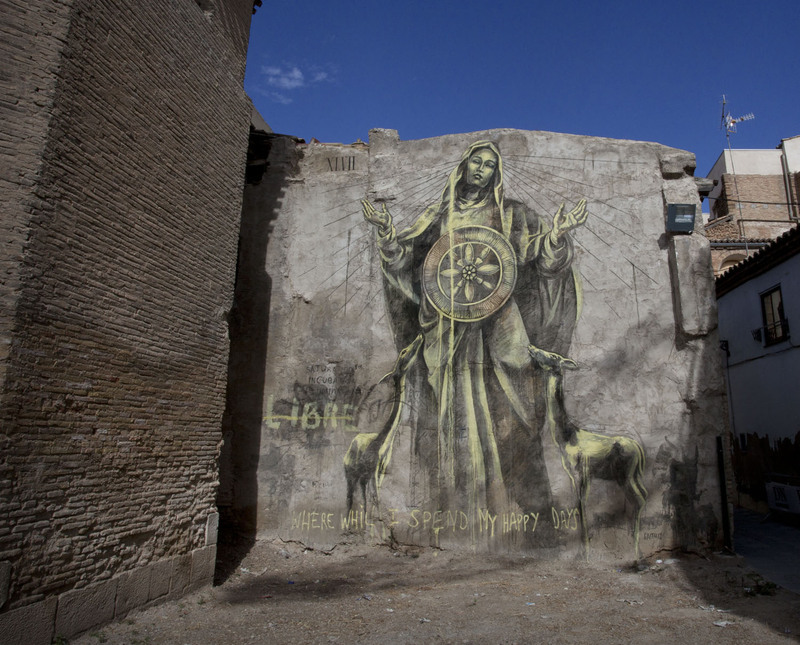 In addition, there is a museum exhibition running through the 27th of October featuring works by C215, Jorge Rodriguez-Gerada, Ripo, Sixeart, SUSO33, Evan Roth, Filippo Minelli, Buenos Aires Stencil, and others. Expect to see that in the coming days. Photo credit: Ian Cox (Top Image). Categories: Features, Seen on Streets, Shows & Events, Street & Urban Art. 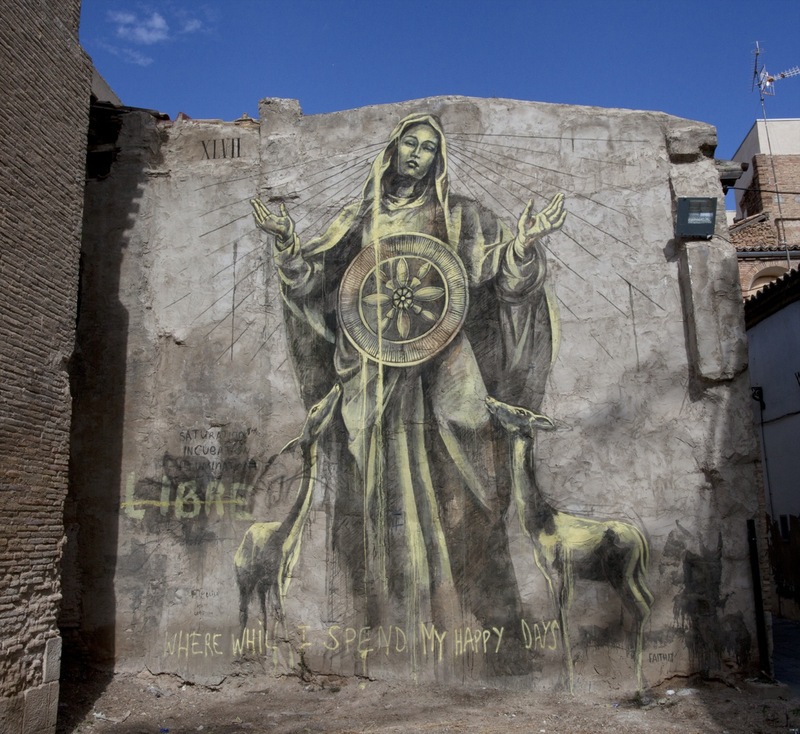 Tags: Avant-Garde Urbano, Faith47, Features, Seen on Streets, Shows & Events, Spain, Street & Urban Art.